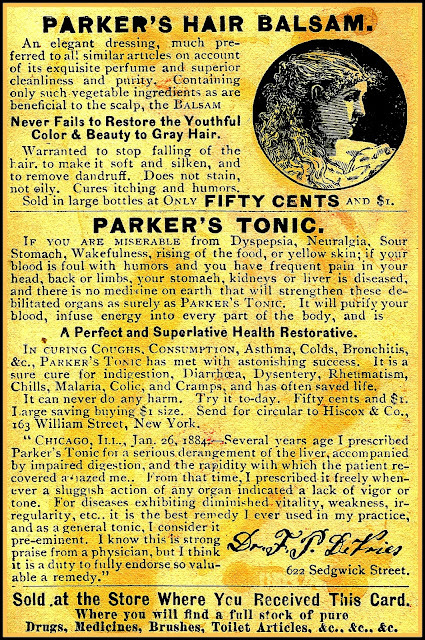 From The Daily Eagle, Wednesday 18 Jan 1882, 4:30PM edition p.3, comes ads for both of the products above via Google News. As of Oct 2014, Google Street View records little of the NYC where Hiscox & Co. was located. Some of Hiscox's neighboring buildings survive. It appears the street has not been widened. For more information on Parker's and Hiscox & Co., see page 107 of the Earl J. Arnold Advertising Card Collection. From Early Vermont Medicines, "a resource and forum for collectors to buy, sell or trade quality antique bottles:"
"Perry Davis (1791-1862) was a carpenter in Fall River Mass, when he discovered his formula and began selling the medicine in a basket. His neighbors thought he was foolish for leaving his trade, but Perry never doubted his ability, moved to Providence Rhode Island and became proprietor of Davis Vegetable Pain Killer; he was listed as Physician. Made at Fort Trumbull Glass Works New London Connecticut 1866-1870. "PAIN KILLER" was patented by Perry Davis in 1845. 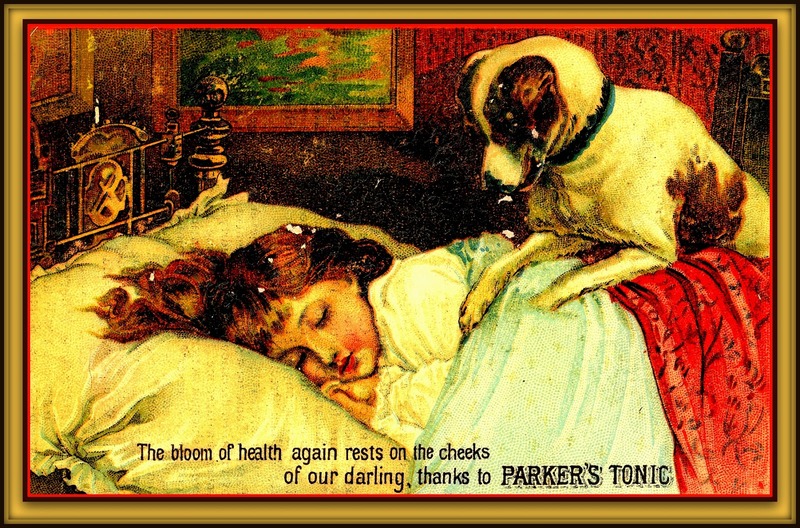 It is believed to be the first nationally advertised remedy specifically for pain - as distinct from a particular disorder. "Pain Killer" was distributed by Christian missionaries around the world. In its heyday, Perry Davis' "vegetable elixir" was widely regarded as a wonderdrug. Its ingredients, mainly opiates and ethyl alcohol, were entirely natural. The concoction was created Perry Davis in 1840. Since "Perry Davis Pain Killer" was a registered trade brand name, there was no legal requirement to make its ingredients public on the bottle." "The Sacandaga Valley is a cooperative effort of the towns of Northampton, Mayfield, and Broadalbin. Randy Decker, who wrote The Fulton, Johnstown, & Gloversville Railroad, joins authors Betty Tabor and Jay Nellis to create this new pictorial history. The book contains an introduction by Lewis G. Decker, Fulton County historian and author of two other books in Arcadia's Images of America series, Gloversville and Johnstown. Decker also coordinated the three-town project with the assistance of his son, Lewis G. Decker Jr., deputy county historian." Below is a Google Street View (Aug 2014) of the Hubble residence. The mail was delivered. The snow finally melted. Currently the home is maintained by St. Mary's Healthcare (headquartered in Amsterdam, NY), Northville Health Center. Northville, NY is featured on page 162 of the Earl J. Arnold Advertising Card Collection.